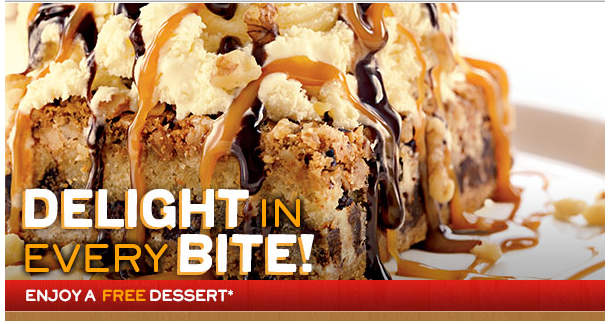 Get a FREE dessert at Chili’s when you sign up for their Chili’s email club. Once you’ve signed up, you’ll be able to print your coupon right away, but they’ll also email you a link, if you’d like to print it later. You should also receive an email with a coupon to print for a FREE dessert (thru 1/24/13)!